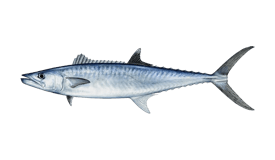 If you’re after a fish tale to tell your grandkids, Pensacola offshore fishing could well do the job. Whether you’re persistent about pelagics or bonkers about bottom fish, the rich array of local reefs and wrecks will put you in touch with your angling alter ego. 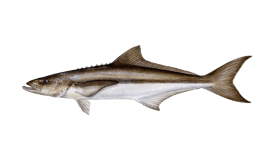 These waters are famous for their fish-filled bottom structure, and the ominously-named ‘edge’ brings some of the Gulf of Mexico’s most prestigious pelagics relatively close to shore. 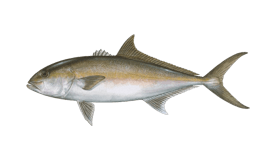 And while the fishery may not quite rival Key West in terms of variety, it comes close in terms of experience. 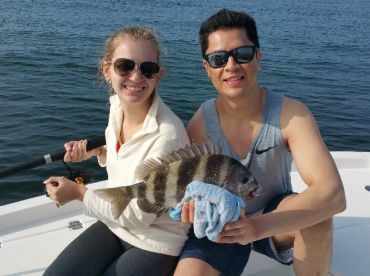 You don’t need to go far from the coast to experience the offshore fishing Pensacola Florida is famous for. 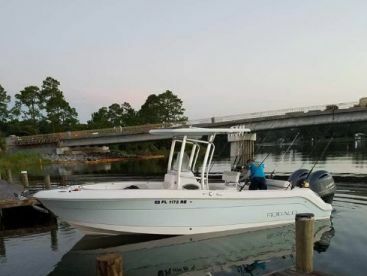 Even within state waters (9 miles from shore), a trolling trip will see you catching species such as King and Spanish Mackerel, as well as Cobia (in season) and the occasional Mahi Mahi and Sailfish. While these charters are strictly ‘nearshore,’ they are the perfect introduction to sea fishing without requiring you to go too far from land. Take a full day trip, and you’ll be able to experience what Pensacola does really well: bottom fish. 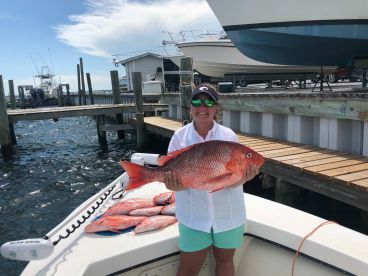 Usually, fishing charters will troll towards the bottom fishing spot, then anchor up and drop the lines until you get to reel in a beautiful Red Snapper, Triggerfish, or Gag Grouper. Who cares about Mahi Mahi when you could have an enormous Snapper on the end of your line? 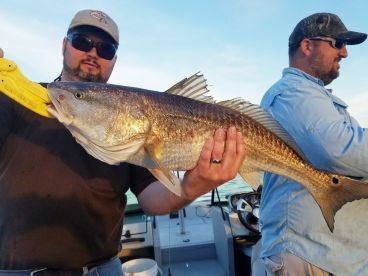 With more artificial reefs on the local seabed than anywhere else in Florida, there are plenty of places to find these coveted fish. 22 miles out of Pensacola you’ll find yourself fishing over the largest intentionally-created artificial reef in the world — the Oriskany, an old US Navy boat used in World War II. Fish around here, and you’re not only going to be getting some wholesome exercise, you’ll also be learning about history (kids — tell your mom!). 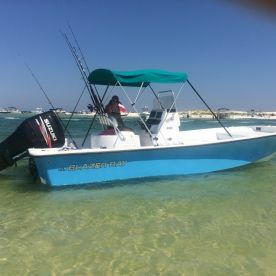 Pensacola offshore fishing is usually best in the summer. 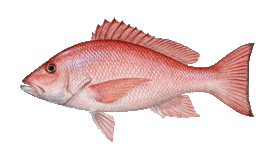 The seas are calmer then, and the fishing season is open for everyone’s favorite local fish—the Red Snapper. Make sure to check the seasonal regulations when booking your trip. And don’t forget to make your reservation in plenty of time. Charter trips book up very quickly in peak season!